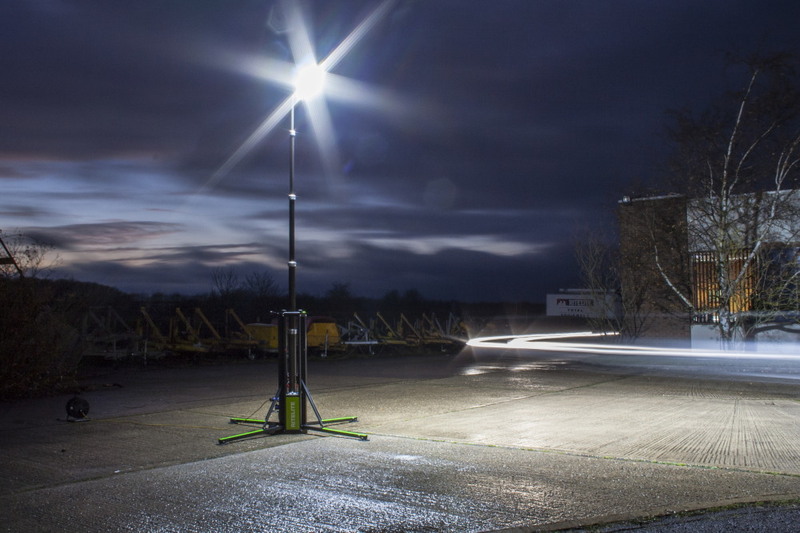 Powerlite Australia and iLite Technologies have launched the K45 360 degree LED mobile lighting tower featuring a triple light head design to provide the maximum amount of light and the minimum energy consumption with the flexibility to cover almost any lighting application. Typical portable/mobile area floodlights have a fixed beam angle which cannot be adjusted according to the task in hand. The K45 can be configured with different beam angles to suit the user requirements and in combination with three independently adjustable light heads gives full control of the light projected, allowing the user to achieve the optimum illumination for all working situations. The K45 design philosophy is to provide the highest level of ‘usable light’ to the widest range of work situations allowing the user to do more with less equipment with lower energy consumption. The efficient LED light heads deliver an impressive 85,000 lumens at only 650W power consumption per unit and have the option for several K45 units to be connected together and be powered from a single power source. The K45 is quick to set up with rapid, one person push button deployment to both raise and lower the mast. Once deployed the tower can reach a height of 4.5 metres with a wind rating of 72km. With compact stowed dimensions and low weight, multiple K45 units can be transported in a ute or van. Powerlite is an Australian owned and operated company that has been manufacturing generators in Australia for over 50 years.